This two volume publication provides an overview of processes developed to inhibit oxidative deterioration of organic materials. It discusses aspects of auto-oxidation, photo-oxidation and combustion, the major mechanisms involved, oxidation inhibitors classes, and practices in oxidation inhibition. 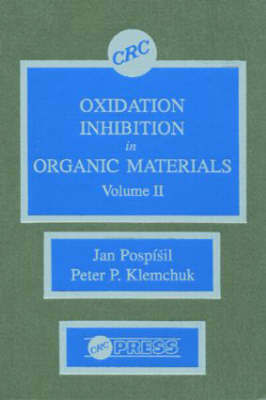 The books include physical phenomena in polymer oxidation, and thermoanalytical methods for studying oxidation inhibition. Covered are analytical methods for inhibitors in organic materials, and scientific and technical prospects in the stabilization of organic materials. This comprehensive title is useful for investigators and students at all levels who have interest in polymer sciences.